The Smart Series combines Haskell quality with the versatility required for outfitting complete facilities. Whether for corporate, government, or educational institutions, the Smart Series offers tailored solutions for individuals and teams, private spaces and open plans. Featuring solid construction and technical adaptability, these pieces have longevity and are backed by the Haskell Warranty. And where details—like an extensive range of finishes and surface materials—matter, the Smart Series just makes sense. 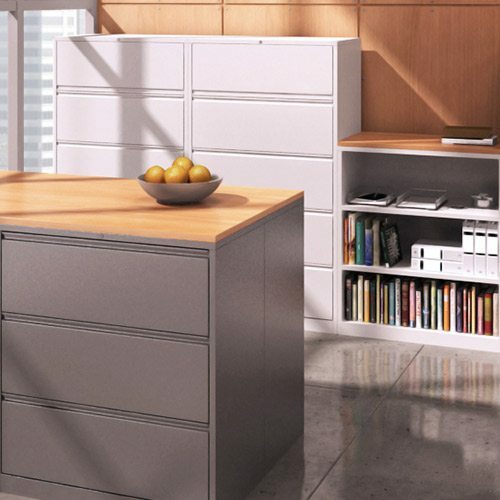 The Smart Series™ is just as its name implies—smart quality, design, construction, environmental impact and value. The Marathon Series was created to be practical, durable and sustainable. 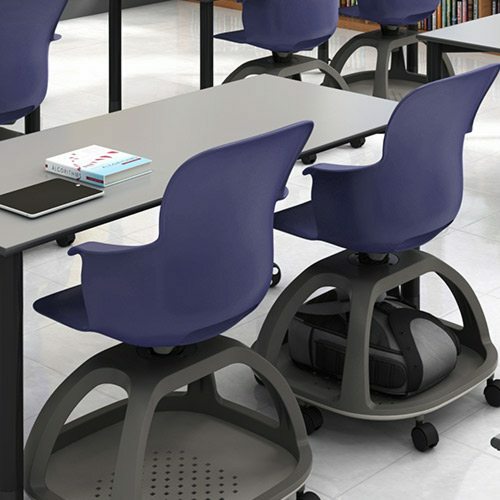 The series is built using tough powder-coated steel and engineered laminate tops that will last. Reclaimed materials and innovative manufacturing ensure that this solution is truly sustainable. 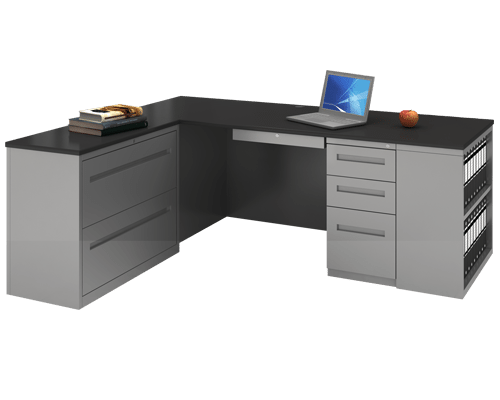 Coupled with modern profiles and full-depth filing feature, Marathon is a fundamental addition to every office or classroom. 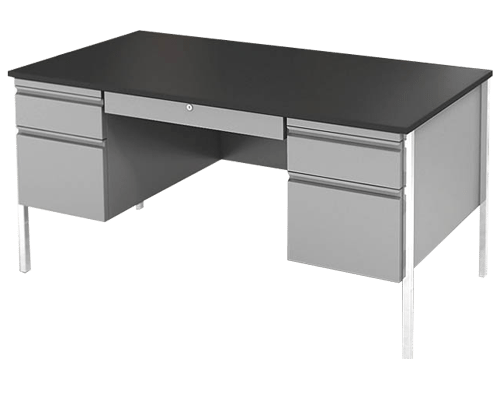 Solid construction and uncompromising quality make Marathon a go-to source for corporations, schools and government offices. The Marathon Series offers quality, durability and sustainability. Solid construction and uncompromising quality make Marathon a go-to product series for corporations, government and institutions. 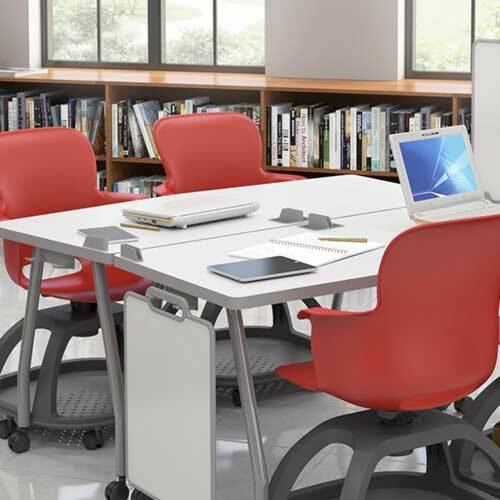 The Market Series offers practical desking solutions for designers on a deadline. This series offers durable powder-coated steel construction with a reduced selection of profiles and finishes in order to meet quick turnaround times. 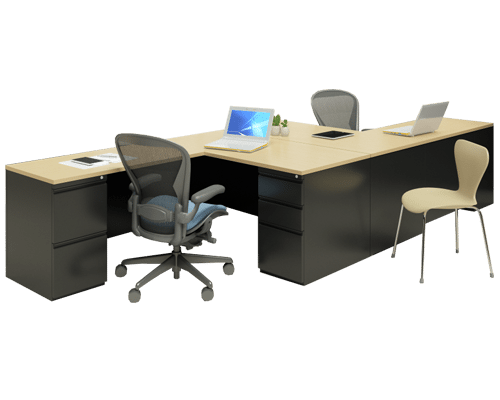 Used for private spaces and open floor plans in corporate, government, healthcare and educational settings, the Market Series of desking solutions and its complementary series of filing storage solutions simplify the selection process. With the same, sharp look and durability as other Haskell products, the Market Series makes adding quality to a project quick and convenient. The Market Series of desking solutions and its complementary series of filing storage solutions simplify the selection process and speed time of delivery.